→How to Build A Blog and Make Money With It? Starting your own blog is quite easy. You don’t need any special skills or knowledge of coding and design because there are platforms like WordPress that makes everything easy for you. Here’s a step by step guide to building a blog. 1. Choose a software to create and manage your blog. I personally use WordPress but there are other options too like WIX, Text Pattern, etc. WordPress is the most popular option for bloggers. 2. Find a web hosting service that supports the software you have chosen. There are free hosting but if you want your blog to look professional then, by all means, go with a paid hosting service. The key to finding the right web host is to find out how easy their system is to use if they have reliable customer support and of course if they offer a wide range of themes and accessories that you need for creating your website. 3. Pick a theme for your blog. Every blog software installation always has a default theme, but you may or may not like it. If you are looking for something unique, you can choose from the numerous themes available. Some are free, some are premium. Now that your blog is ready, it’s time to begin blogging. Spend some times to create quality contents. OK so you already have a blog set up and maybe you’ve uploaded a few articles for your site. The next step is to learn how to make money from your blog. First of all, while many claim that blogging can give you PASSIVE INCOME, it’s not exactly as passive as you’d like to think. In my case, I still work 8 – 10 hours a day on my blog, and when I was starting out, I worked like crazy, logging in over a hundred hours a week. But what makes this all worth my while is that it pays off well. 2. Turn your visitors into regular readers of your blog. Let them subscribe to your email list. 3. Regularly connect with the people in your list. It isn’t. In fact, I’d go so far as to say that it’s really HARD TO DO. And not everyone will succeed at it. Can you actually make money blogging? Definitely. I know a dozen people in my circle who are making a killing at it. There are many ways you can make money from it. Or you can make money selling someone else’s products/services. The most conventional way of making money from your blog is selling advertising, so you basically allow companies to promote their brand to your audience and they will pay you for it. Or you can form a partnership with a company who will allow you to promote their products and services in exchange for a commission on every sale. Which one should you pick? This is for you to decide, but remember, the moment you decide to monetize your blog, you’re no longer merely a blogger. You are now an entrepreneur, and so you should treat your blog as a business. When you sell ad space, you’ll get paid a pittance. Even the biggest blogs on the Internet are only paid a few thousand dollars per month for advertising space. If you already have a sizeable audience that trusts you, you’ll also be turning them away when they see all those annoying ads on your site. You’re better off endorsing products or selling your own products. I always tell anyone who come to me for advice about how to monetize their blog to start with affiliate marketing. It’s an excellent strategy where you endorse someone else’s products or services and you get a commission for every successful referral/sale. With software products, you can make as much as 50% in commission. With tangible products, you can make anywhere from 4-10%. If you promote products that are priced $10 each, then even you sell 100 of these a month, you’ll only make $100 with a 10% commission. If you pick a $1,000 product, even if you sell only 10 of these a month, you’d still be making $1,000 with a 10% commission rate. That’s why in Affiliate Marketing the is not limit in earning. The sky is the limit. The effort you exert for selling both products will probably be the same, but the difference is that you will make more money promoting expensive products. As you get better with affiliate marketing, you may eventually want to make your own products so you can get all the profits, not just commissions. That’s usually the path taken by successful Internet marketers and a handful of them are now millionaires. But while you’re still starting out, learn as much as you can about monetizing your blog by growing your audience, building their trust and giving them the products and services they want. 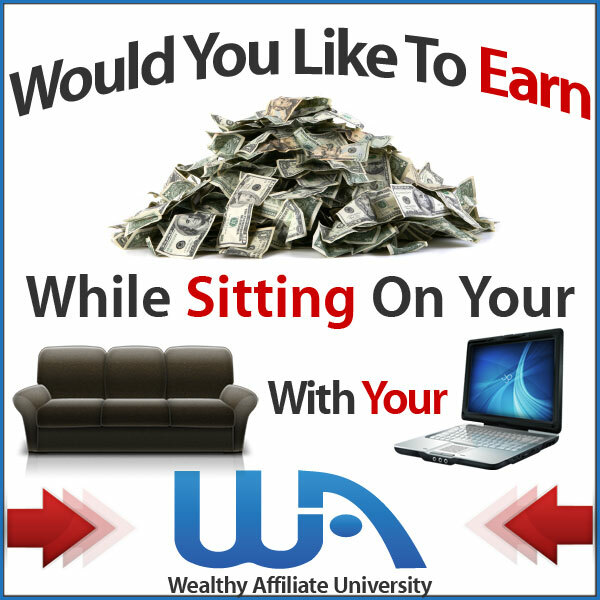 If you want to know which Affiliate Network to try, I fully recommend Wealthy Affiliate. I’ve been with them for a while now and even now that I already have created my own digital products, some of my websites still promote their affiliate products and they continue to give me steady income month after month. What you’ll also like about this network is that for a minimal fee, you get one-on-one coaching and effective lessons to boost your chances of success in affiliate marketing. What is your thought? I would like to hear from you. Feel free to drop your comment below.